Take a step outside time with Eternal Masters. This exciting set lets you draw on some of the most sought-after cards from throughout the history of Magic-some with new artwork-to enhance your Cube or your favorite Commander, Vintage, and Legacy decks. 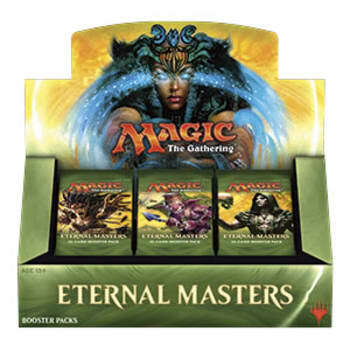 Eternal Masters is designed to be a unique and enjoyable Draft experience, much like Modern Masters. It will not contain cards from the Reserved List, but it will feature many exciting Eternal staples, including Force of Will and Wasteland.